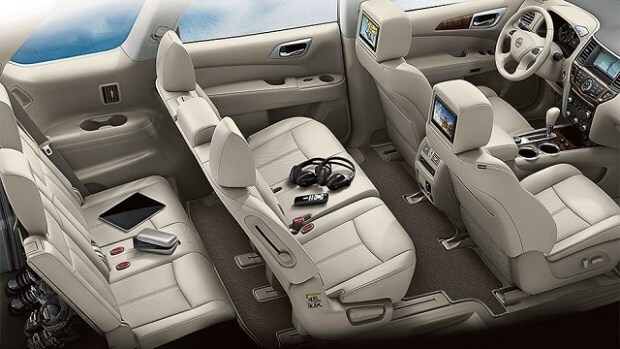 The Nissan Quest is a classic vehicle that is one of Nissan’s most familiar models. It is a traditional minivan that is designed to be a family car ideal for transporting kids to and from school and after-school activities and embarking on family vacations and weekend trips in the summertime. Nissan’s Quest minivan has been a faithful car for many years, but the most recent Quest model was released in 2016 for the 2017 model year. No new models have been released since, leading loyal Nissan drivers to speculate that the Quest really is gone for good. The Quest has had a long run with Nissan. It has been an integral part of the Japanese auto corporation for almost 25 years from the date of its initial launch in 1992 to the release of its most recent updated model in 2016 for the 2017 model year. The Nissan Quest survived various ups and downs and shifts in the buying trends of U.S. drivers, the devastating U.S. recession of 2008, as well as many other major changes in the economy and the auto industry throughout the 1990s and the first fifteen years of the 21st century. It even smoothly coasted over the bridge between the 20th and 21st centuries without faltering. There have been four generations of Nissan Quests since 1992. The first generation lasted from 1993-1998; the second generation from 1998-2002; the third generation from 2004-2009; and the fourth generation from 2011-2017. Although this wasn’t known at the time of its launch, the fourth generation Quest series was to be the Quest’s final generation. Many drivers and critics were surprised when Nissan released a 2017 Quest model amidst plummeting sales. However, it soon became clear that the launch of the 2017 Quest was different from Nissan’s other releases of new models. The 2017 Quest was not available on Nissan’s consumer website, nor was it available for purchase at local Nissan dealerships. This is because the 2017 Quest was released exclusively as a fleet to Enterprise, Budget, and Hertz rental car companies. This sales tactic certainly helped Nissan protect themselves against declining sales of the Quest, but it disappointed loyal Quest drivers who were looking forward to being able to get their hands on their very own 2017 Quest. According to Nissan’s current plans, new Quest models will not be released in the future. If you have your heart set on a Quest, you can still find some earlier models scattered among car dealerships and used car lots around the country. However, the latest 2017 Quest model is not available from these sources due to its fleet-only release. One of the main reasons why the success of the Nissan Quest stumbled to a slow stop and was thrown out of Nissan’s current lineup is shifting buying patterns among American drivers. The fact of the matter is that drivers in the U.S. who are in the market for a new car just aren’t buying minivans anymore. Minivans are out of style, and SUVs are in. It’s important to keep in mind that trends tend to be cyclical, and it is very likely that the minivan will eventually find its way back into the good graces of U.S. drivers. That being said, even if minivan sales do experience an unexpected upsurge within the next few years, it doesn’t change the fact that minivans—including the Quest—are simply not selling on the current auto market. In fact, minivans—along with other cars deemed unstylish and out of fashion, such as full-size sedans—have been experiencing faltering sales for years. Nissan’s Quest has not done well in terms of sales ever since its fourth generation launched several years ago. In 2012, Nissan could claim only 3% of minivan sales in the U.S. By 2013, Quest sales were down by more than 30%. Since 2011—the first year of the Quest’s fourth generation—fewer than 80,000 Quests have been sold throughout the nation. 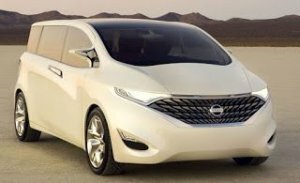 What may have put the final nail in the coffin of the Nissan Quest is the vehicle’s less-than-encouraging results on the IIHS safety tests. The IIHS—the Insurance Institute for Highway Safety—is a nonprofit organization that is considered to be a reputable source of information on the safety of specific vehicles available on the current auto market. This organization performs series of relevant crash tests on new car models to determine how these models fare in these tests and then labels them with an appropriate safety rating.